Stick Fight: The Game Mobile is based on the classic PC Game, Stick Fight: The Game, which has sold over two million copies on Steam and has maintained a 90% approval rating, gaining it a reputation as a fun-filled multiplayer combat game perfect for playing with friends. Keeping this spirit in mind, Stick Fight: The Game Mobile has been developed as a light competitive, multiplayer-only fighting game that puts all the random, crazy fun of the original right in your pocket. 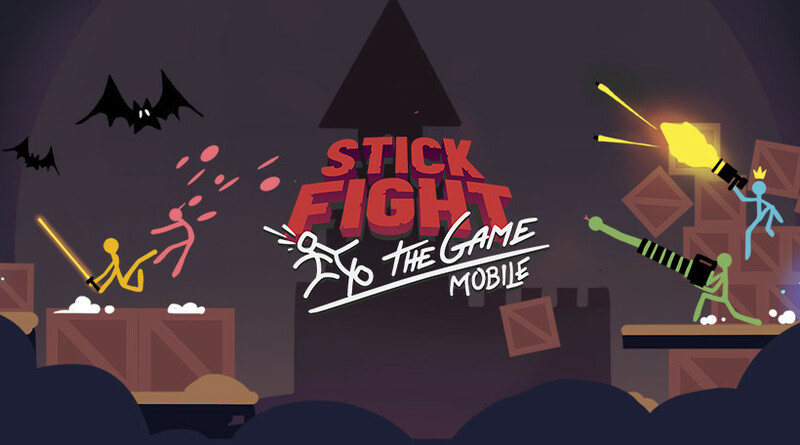 Mobile Optimized Gameplay: Designed from the ground-up for mobile gameplay, Stick Fight: The Game Mobile includes a redesigned mobile interface perfect for action packed games on the go but with the same awesome gameplay Stick Fight fans love. Randomly Generated Weapons and Maps: Over 100 varieties of maps and 38 weapons all occur randomly so players never know what they’re going to get. Adapt to crazy terrain and guns falling from the sky to out-fight your friends in this frantic free-for-all. Global Grapple: Play online to make new friends from all over the world and meet them in the arena to destroy each and everyone of them in glorious stick fight combat. Keep an eye on the Facebook page for more relevant information: https://www.facebook.com/StickFightTheGame/. Find screenshots and a logo in the press kit here.